Age – the average lifespan of AC units is usually around 10-15 years, so if your unit is around that age or older, it is a good idea to prepare for buying a new appliance. Strange noises coming from the AC unit and excessive dust – the presence of unusually high amounts of dust in the room may indicate leaking ducts, while the unusual noises coming from the unit might signal that the duct system is undersized. Increasing energy costs – inefficient AC systems use more energy, but don’t work properly, so if none of your other consumers is broken, the culprit for your rising energy bills is probably the old air conditioner that needs replacement. 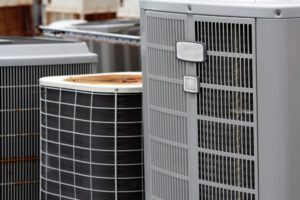 Inconsistent operation – if your air conditioner blows hot air when it is set to cooling or vice versa or if the humidity of the air is not consistent with the unit’s settings, it may be time to replace your air conditioner. Find a fair and honest Denver heating and air conditioning company to inspect your HVAC systems that can help maintain them versus replace them. Originally Posted here: Is It Time to Replace My Air Conditioning Unit?